Trial Court's Error is Harmless when there is No Reasonable Possibility Error Contributed to Verdict - В сложной финансовой ситуации приходит на помощь кредит наличными в Казахстане. Just because the trial court committed an error does NOT mean the error constitutes reversible error warranting a new trial. 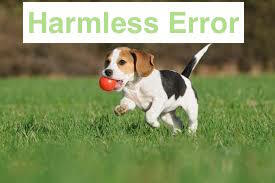 The trial court’s error could very well be harmless error. When it comes to a trial court’s error, the recipient of the error should prove that “there is no reasonable possibility that the error contributed to the verdict.” Maines v. Fox, 41 Fla.L.Weekly D1062a (Fla. 1st DCA 2016) quoting Special v. W. Boca Med. Ctr., 160 So.3d 1251, 1256-57 (Fla. 2014). The trial court’s error is harmless if the recipient of the error proves there is no reasonable possibility that the trial court’s error contributed to the jury’s verdict. In Maines, the trial court abused its discretion by preventing a defense expert from testifying that in his opinion the plaintiff did not suffer a traumatic injury as the result of the car accident. However, the defense expert was able to testify that only a very fragile person could have sustained a traumatic injury like plaintiff’s injury from the car accident. Hence, while the expert could not specifically testify that the plaintiff did not suffer the injury from the car accident, his other opinions clearly portrayed his causation opinion to the jury. For this reason, the First District held that while the trial court did commit an error, the error was nothing more than a harmless error–there was no reasonable possibility that this error contributed to the jury’s verdict in favor of the plaintiff.